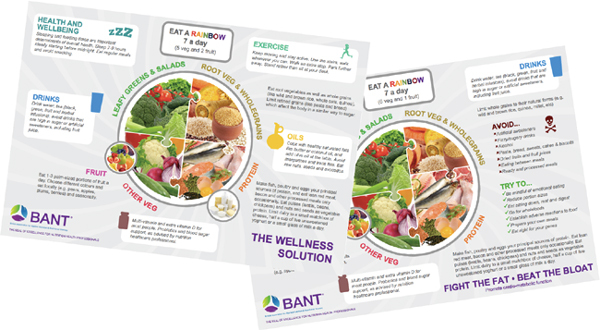 To obtain CPD recognition from BANT the course/seminar/workshop provided must either meet the National Occupational Standards (NOS) set by the Nutritional Therapy Education Commission (NTEC) OR have relevance to the wider application of nutrition in industry or public health. For any courses/seminars/workshops you wish to be considered for CPD recognition, please download and complete a BANT CPD Event Checklist and return it to cpd@bant.org.uk. Please note that events cannot be considered unless full information is submitted in the format requested. In order to benefit from marketing your event as ‘BANT recognised’, and to allow the Committee time to consider your application, please submit full details at least 4 weeks prior to the first event. The cost for CPD recognition and posting details on the BANT website is set out below. BANT approval of a CPD event will also enable the event to qualify for a 10% discount on any advertising in the BANT eNews for that specific event. CPD recognition entitles you to use the BANT logo for a period of one year but only for the approved event. If 2 or more events can be clearly linked, for example a part 1 and part 2 on the same topic then the second application may be eligible for a discount. Please contact the CPD Committee on cpd@bant.org.uk to discuss. Recognition is valid for one year. If you want to repeat the event during that time, and assuming the content remains the same, no further approval is required. However should you wish to re-list the event on the BANT website and claim the BANT CPD hours, there will be an administration fee of 50% of the original charge for the event. You must ensure you specify the dates that you wish to re-list at the time you make your relisting application. Any additional dates that are not on the first relisting application will need to be applied for again and will be charged at the relisting fee of 50% of the original cost. If you want to list a DVD or any Web-based/Online events you need to make a new application for this and it will be charged at the same rates as an attendance event. You will need to make a new application even if the original event was BANT recognised and this is a recording of the event. DVDs and Web-based/Online events are not date specific and are therefore listed at the top of the CPD and Conferences page and will remain there for a maximum of 3 months. The CPD hours awarded are based on one CPD hour per hour of learning. Once the event is approved we will inform you of the CPD hours awarded.